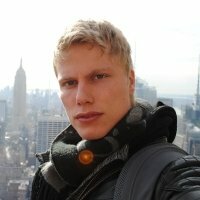 I'm an engineer and consultant mostly interested in machine-learning and applications of AI, but I've also dabbled with computer-vision, written control-software for 6kW permanent-magnet sensorless motors, and designed an AESA down-converter for Swedish defense industry. I studied physics, computer science, and machine-learning at Chalmers University in Sweden and Hong Kong University of Science and Technology (HKUST) and got my M.Sc. in Complex Adaptive Systems in 2011. I can be reached at anders (at) bennehag (dot) com and this is my public key. Some things I've written about are found here. Mostly its either about some code I wrote or some photographs that turned out alright. © Anders Bennehag. All rights reserved.